This Year A of the Liturgical Calendar follows the Gospel of Matthew on Sundays during Ordinary Time. 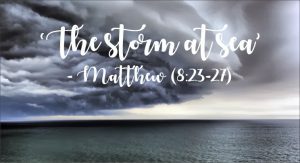 Dr Elizabeth Julian rsm addresses some basic questions about Matthew’s gospel to show how it is relevant to our lives today. In last month’s article I considered Matthew’s portrayal of Mary, Jesus’ mother. 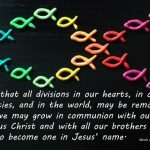 In this article, I’ll look at the disciples. Basically, the disciples walk behind Jesus learning on the job. They are called away from their ordinary occupations to share in Jesus’ work for the kingdom and begin a new life with him. 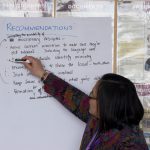 The call and response (4:18-22, 9:9) are urgent – permanent leave-taking from family and current job and a new job immediately. There’s no three-month trial period. As Jesus preaches, teaches and heals, the disciples watch, listen and learn what it means to follow. 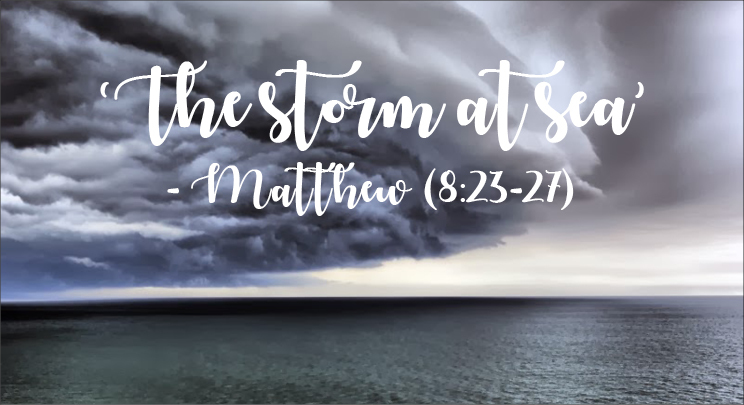 The storm at sea (8:23-27) shows they have enough faith to follow Jesus in the night journey across the lake but not enough to believe he would not let them perish. Jesus entrusts his work to them commissioning them to preach, heal, raise the dead and drive out demons (10:7-8). Later he ensures that they understand the parables (13:1-52). Jesus sometimes rebukes them for failing to grasp the full scope of his message (15:15-20, 16:8-11). They can sometimes be fickle. Their faith doesn’t always measure up to Jesus’ demands but they stay and listen. Four times Jesus calls attention to their lack of faith. This lack prevents them from understanding Jesus’ warning about the teaching of the religious leaders (16:6). Peter is singled out. He demonstrates an imperfect understanding in the confession scene, being unable to accept the suffering aspect (16:13-23). He wavers between belief and unbelief on the water (14:22-33). Nevertheless, he is given special place in community. Jesus tries to teach his disciples what it means to follow him through suffering and death to glory. Jesus predicts (16:21), the disciples misunderstood (16:22-23) and Jesus instructs (16:24-28). The disciples continue to misunderstand! The disciples learn about the reign of God (13:16-17), help Jesus care for the crowds (14:18, 15:36), worship him, confessing that he is the Son of God (14:33, 16:16). At the end (28:19) Jesus entrusts them with the worldwide mission he initially called them for (4:19). We will explore the Great Commission in the December column. Jesus’ disciples are the salt of the earth (5:13) and the light of the world (5:14). They have an effect beyond their immediate community – the metaphors Matthew uses highlight their importance. They are to hunger and thirst for righteousness, to be merciful, clean of heart, peacemakers, (5:6-9) to avoid retaliation, love their enemies (5:38-48), refrain from judging others (7:1-5) because this is how God acts, this is what the kingdom of heaven looks like. Jesus’ disciples must model this behaviour so that others can understand God’s mercy and love. They must imitate Jesus’ faithfulness (10:24-25), endure hardships to the end (10:22; 24:13), proclaim the kingdom of the heaven (10:7) as Jesus did (4:17), cast out demons and heal diseases (10:1, 8). At the end of the gospel they are sent to make disciples, teach and baptise (28:19) just as Jesus did (4:23; 9:35). They must show compassion as he did (9:36), imitate him when confronted with opposition (10:14-15, 17-18). They must imitate Jesus in walking his way of the cross (10:38-39; 16:21-28), and respond like Jesus, loving and praying for their enemies (5:44). They must fast and pray (6:5-18) and not worry about what they are to say (10:19-20), confident in the power of the Spirit. Disciples must sustain one another, pray with one another, and love and forgive one another (18). Jesus’ call of the tax collector, Matthew, is followed immediately by the story of Jesus eating with tax collectors and sinners. When the Pharisees question Jesus’ behaviour he quotes the prophet Hosea, ‘I desire mercy not sacrifice,’ adding that he has come to call sinners not the righteous (9:9-13). So the call to discipleship is an act of mercy. Like the shepherd (18:10-14), disciples must seek out the lost using every means possible to maintain community relationships (18:15-17).There’s no need to wait for the sinner’s admission of failure. Furthermore, there is to be no limit to the forgiveness extended. They are to treat sinners as Jesus treats Gentiles and tax collectors, that is to include them and never give up on them! At times the disciples fail terribly. Judas betrays Jesus for 30 pieces of silver (26:14-16); they seek positions of power (20:17-28); they fall asleep on the job (26:36-46); Peter denies knowing Jesus three times (26:69-75); and finally they all abandon Jesus (26:56). They don’t see the trial before Pilate, nor Jesus’ death. Their absence reflects their failure. This absence makes a striking contrast to the women who ministered to Jesus in Galilee and journeyed with him to Jerusalem. There they witness his death (27:55-56) and keep vigil, sitting opposite his tomb (27:61). Later they come to ‘see’ the tomb (28:1) not to anoint him as another woman has already done this (26:6-13). So what does this mean for us today? Pope Francis challenges us all to be missionary disciples (Evangelii Gaudium #119-121). 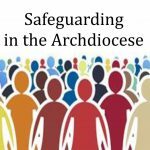 I suggest re-reading my article and inserting the appropriate first person pronoun (I/me, we/us) for ‘disciple’ to see what the message may be for you as we approach the Archdiocesan Synod and this country’s General Election this month. It could be comforting, it could be challenging, it could be a wake-up call! Next month we’ll head to the mountains with Matthew. Byrne, B (2004). Lifting the burden: Reading Matthew’s Gospel in the church today. Strathfield, NSW: St Pauls Publications. Carter, W (1998). Learning to live as faithful disciples. The Bible Today, 36 (5), 287-293. Reid, BE (2005). The gospel according to Matthew (Vol. 1). Collegeville, MN: Liturgical Press.